If you need to transport six or seven people and haul a heavy trailer, your vehicle options are few and far between. A double-cab pick-up will only accommodate up to five people, and most ‘large’ family SUVs only have seating for five. You can actually count on one hand the new cars with seven seats that can tow a trailer over 3,000kg. That’s the state of the market now, and with cars going the way they are with emissions, that number will be even fewer in years to come. So-called ‘soft roaders’ are no answer either. These typically have part-time AWD systems without locking differentials and a low towing capacity – not the formula you need for heavy towing and to ‘get the job done’, so to speak. 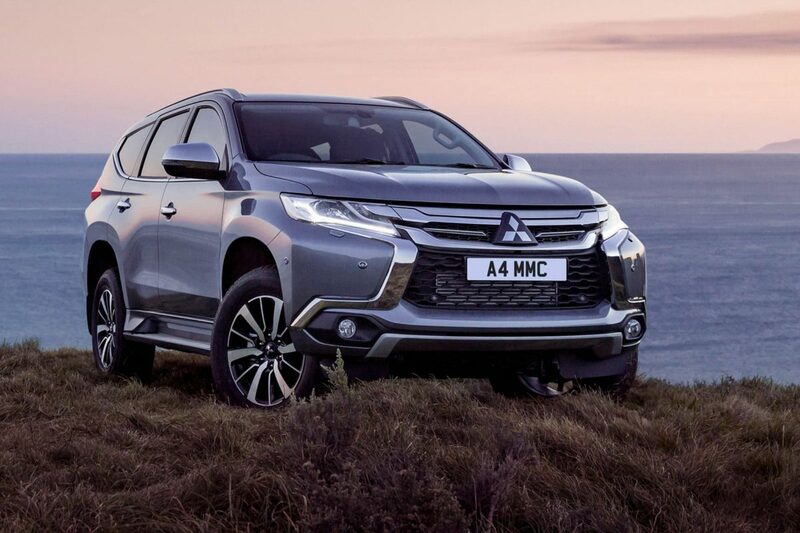 Thankfully, Mitsubishi is as on the task as ever with the Mitsubishi Shogun Sport, which might just be the perfect SUV for drivers unimpressed by the pulling power of soft-roaders, and the lack of luxury utilitarian SUVs tend to offer. It’s a more luxurious and stylish take on the Shogun formula and a serious contender for your dough. It’s hard to imagine, I know. But the Shogun Sport delivers. It has the all-important 3.0-tonne (3,000kg) towing capacity a proper SUV should have (3.1-tonnes to be exact) and a ‘proper’ 2.4-litre turbo-diesel engine. The engine produces 179bhp at 3,500rpm and 317 lb-ft of torque from 2,500rpm, which is sent to all four wheels through an eight-speed automatic transmission. An electric parking brake, Hill Start Assist, Hill Descent Control and Trailer Stability Assist ensure you can always keep moving, no matter the obstacle ahead. The class-leading, driver-selectable Super-Select 4WD system can operate in 2WD (2H) mode for economical driving, and a standard 4WD (4H) mode for everyday journeys. There’s also a 4HLC mode which locks the centre differential for better traction and manoeuvrability on snow, sand and dirt roads and a 4LLC mode which has a low gear ratio for extreme weather and off-road conditions. The latter offers incredible performance. 7 seats are also standard – there’s no optional extra here. Set as a 2+3+2, the Shogun Sport offers all the space a growing family needs and more. With five seats in place, the boot has a 503-litre capacity. Enough for all your shopping trips. So, it has a ‘proper’ towing capacity, a ‘proper’ engine and a ‘proper’ 4×4 system. Where does the luxury come in? Well, it starts from the outside, where the Shogun Sport absolutely kills it. Sleek, muscular and powerful, the exterior profile oozes class and is a cut above most of the competition, including the standard Shogun. Inside, it’s a similar story. The cabin is extremely well-made with a perceptible boost in quality over any traditional 4×4. Front power seats and leather upholstery are standard, as is dual-zone climate control and a rear-view camera. ‘4’ models boast am upgraded 360° parking camera, Adaptive Cruise Control and Blind Spot Warning. Whichever model you choose, a top specification comes as standard. Overall, there’s nothing else quite like the Mitsubishi Shogun Sport. It’s a serious piece of kit and one of the only seven-seaters on the market with any style. If you want an all-in-one family car, they don’t come much better than this.